This simulated bead lock wheel features the same great styling as our Classic III wheel with the finely machined bead lock styling coated in a protective Matte finish with large M/T logos. These attributes give the look and feel of a real bead lock without the expense. 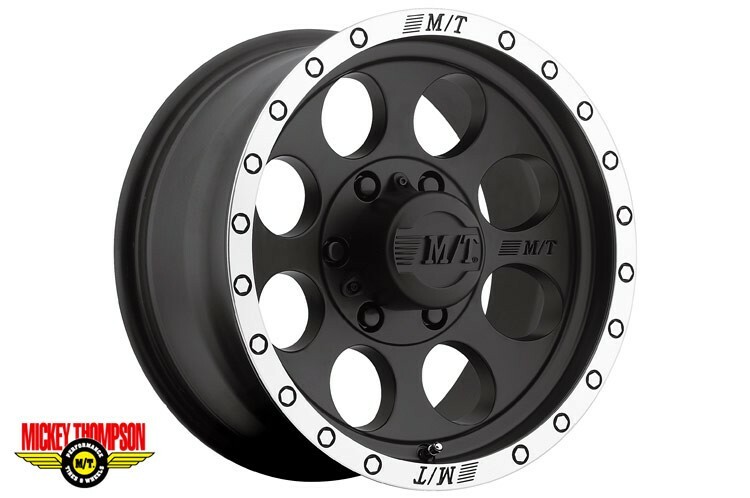 Great for 4x4 owners that are looking for off-road race or rock crawler styling. Center caps ARE NOT available for certain applications including: 1997 & earlier Ford 3/4 & 1-Ton Pickups, 2002 & earlier Dodge/Ram 3/4 & 1-Ton Pickups, 1997 & earlier Toyota Land Cruiser models, and 1986 & earlier Jeep CJ models.